Jim, Jane and their young family had a busy first half of 1963, moving to New York, appearing just about every week on The Today Show, and continuing to make dozens of commercials and industrials. In addition, as president of The Puppeteers of America, Jim had organized their annual festival during the last week of June – a big job. Anticipating the start of regular appearances on The Jimmy Dean Show (and Frank Oz coming to join them) at the end of August, the Hensons were ready for a much deserved vacation. When they headed off to the west coast in July, daughter Lisa was three and Cheryl was almost two. Jane was pregnant with Brian who would be born in November. The varied flora and fauna of the Northwest Coast was a nice contrast to New York City, and the Hensons enjoyed strolling on the beaches. Home movies show the young family skipping in the tide and marveling at the rocks that seemed to come alive each time the ocean washed over them. The mussel shells adhering to the beached boulders reacted to the surf, opening and closing, creating an animated landscape. Twenty-years later, Jim’s Dark Crystal was set in a world with singing mountains and plants and rocks that moved about their environment. 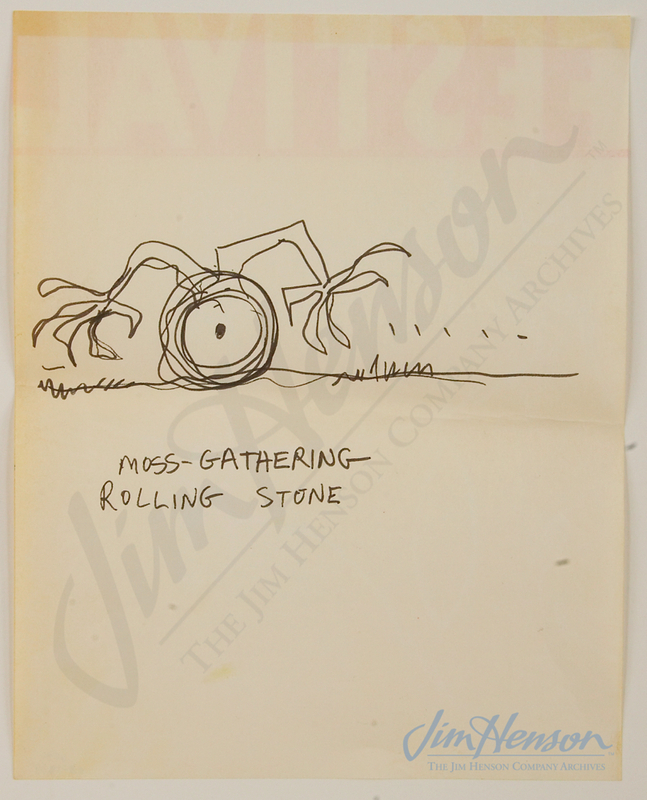 As a close appreciator of the natural world, Jim must have filed away his memories of that Washington State vacation in his fertile imagination. 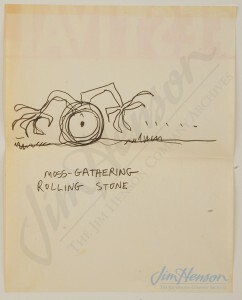 Jim designed this “Moss-gathering Rolling Stone” as part of a pitch for the 1964 World’s Fair. This entry was posted in 07-July '63, 1963, Family and tagged Brian Henson, Cheryl Henson, Dark Crystal, Frank Oz, Lisa Henson, Olympic Peninsula, The Jimmy Dean Show, The Puppeteers of America, The Today Show, Vacation. Bookmark the permalink.